Many consider the inequity in college attainment to be the civil rights issue of our time. Despite the millions of dollars and the proliferation of programs, regulations, initiatives, and expensive interventions, some, but not much, progress has been made in the college graduation rates for low-income students. In 1970, 6 percent of students from low-income communities finished college. In 2013 – 43 years later – that number was only 9 percent. Twenty years ago, educators Keith Frome, J.B. Schramm, and Derek Canty recognized from experience that the most influential person to a 17-year-old is another 17-year-old. They believed in a different solution to closing the education gap – one that is already roaming the hallways of America’s high schools. Based on this insight, they founded College Summit. Since then, College Summit has partnered with over 500 schools nationwide in an effort to narrow the gap in college enrollment and attainment between students from low-income communities and students from high-income communities. Take Cornelius Williams from Miami, FL, who had no intention of going to college. He had no adult role models who had ever attended college and he did not see the value of higher education. On his first day of senior year, Cornelius was greeted by his friend Ashley Daniels, who had just become a Peer Leader. She convinced Cornelius of the importance of finishing high school and enrolling in college. She nurtured and nagged him through the entire application process. Today, he holds a BA from the University of South Florida and has spent his post-graduate career coaching a new generation, with City Year, Americorps, and College Summit. Cornelius Williams is proof that positive peer influence is a powerful untapped resource that exists in every American high school. 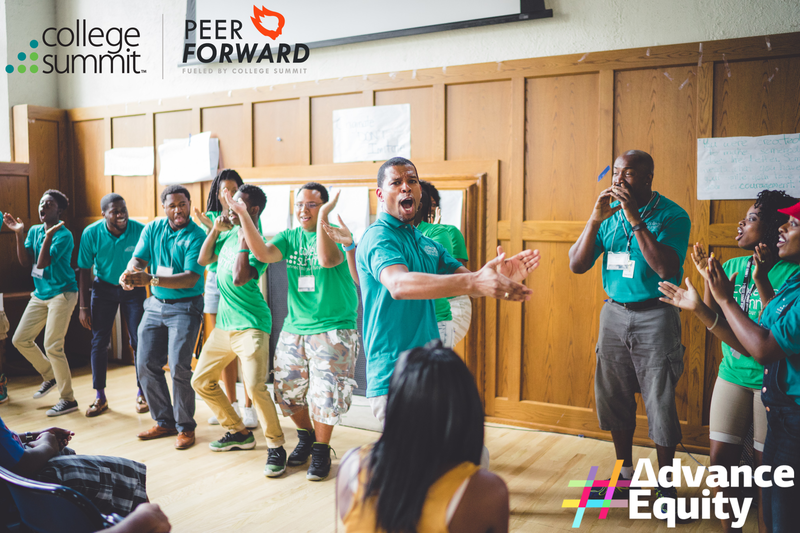 And we believe activating student influence is key to establishing a just and equitable education system. Click here to read more about College Summit's amazing work!